Padres and sports TV camera operator/Groovy Trip radio host Mark Gleason at Pala Rez Radio, 91-3 at Pala. Move over WKRP in Cincinnati. Palomar Country has Pala Rez radio, 91.3 on your dial, that is if you can get it. 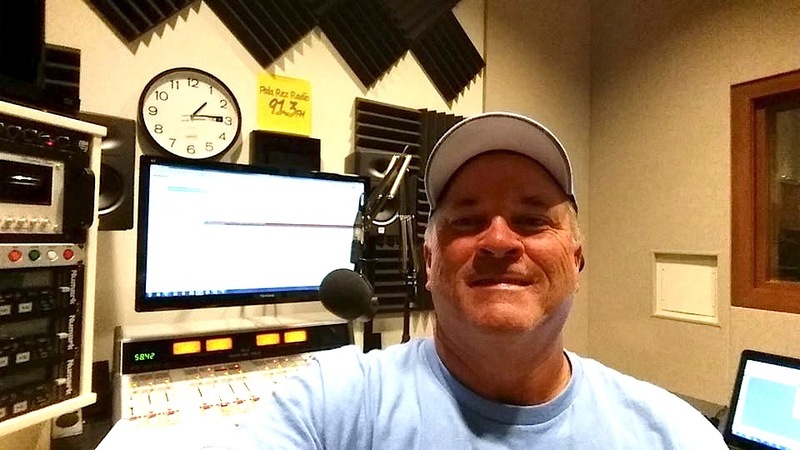 And Pala Rez, an iHeartRadio partner, has got “Mark’s Groovy Trip” courtesy of the charismatic, and informative, 1970s music aficionado, radio programmer and San Diego Padres TV cameraman Mark Gleason. Before we proceed further, its podcast of every episode is available at mandmsgroovytrip@poddean.com or through http://www.marksgroovytrip.com. A fully funded enterprise of the Pala Band of Mission Indians, KOPA-FM, is the little station that could. The problem is two-fold, although Fox, a radio veteran who is the station’s only employee, says plans are to find a way to go further along the radio signal spaceways. The station also has a faithful and far-flung band of listeners through its Internet operation at www…. That’s not the end of the dial for the frequency dilemma, however. Literally broadcasting from under the ground. While most radio stations have antennae high above hills or peaks, Pala’s ode to old-fashioned radio’s transmitter is a thousand feet below, and right up next to a 5,000-foot Palomar Mountain. “It’s a labor of love,” said the effervescent Gleason who turned 56 years old two weeks ago as he prepared hs unique three-hour radio show along with preparing to shoot Padres games from the left field camera at Petco Park come spring. “My dream for years was to do a (19)70s radio show,” Gleason said. Gleason, and Fox for that matter, was a radio veteran. They knew each other as they started careers together at the iconic old B-100 FM, now the “modern adult contemporary” 100.7 JACK. 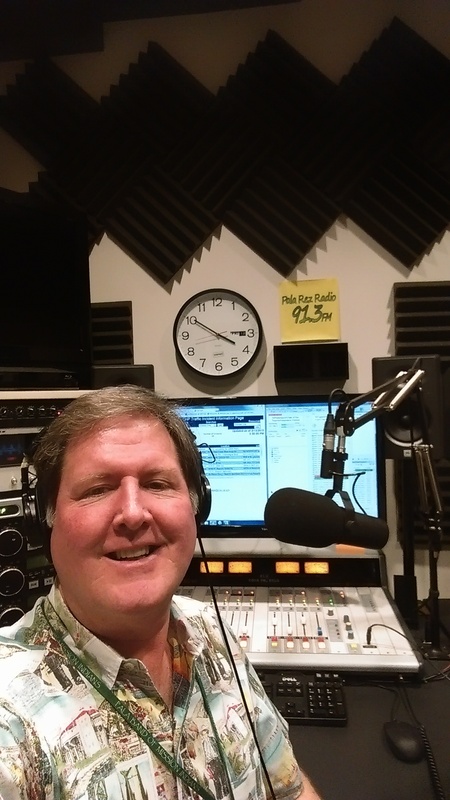 Fox went on to 16 years at B-100, then stops at the KEZY Los Angeles morning show, as Catholic Radio Network director, KSWB in Los Angeles, KOLA in Redlands and KCBQ n San Diego. Gleason, meanwhile, started in radio and audio production, discovering an interest, and openings, unfolding around Qualcomm Stadium with video as well. “I’d see the camera at the games and though that was a pretty cool job,” Gleason said. As an audio person, Gleason worked with Padres on their infamous 1984 National League champion Padres record album released the next year. Mark Giugliano worked the Jack Murphy, later Qualcomm, Stadium video board. In 1991, Gleason contacted Giugliano who asked if he had a demo tape. Ever-resourceful, Gleason took a camcorder to the Padres game, sat behind home plate and shot the action. He edited the tape and gave it to Giugliano for a look-see. Giugliano liked it and mentioned gaining some experience at the Cox Channel working Padres game shows. This led to a career shooting camera for the stadium video board, then for visiting baseball teams that needed local crew and finally working with Fox Sports San Diego running camera for the “show,” fans view as a game. This work has led to some plum assignments including ESPN Sunday, Monday and Wednesday games and last year’s MLB playoffs for TBS. As fate would have it, Gleason’s son, Matt enrolled at Palomar College. Mark and Matt teamed up to host that long-desired 70s show on KKSM-AM, the college radio station. Matt Gleason branched out to his own show eventually, but the station manager let Gleason carry on. Gleason sticks to a tried and very true formula for the show. The first hour is devoted to a designated year. It’s more “fact-based” as Gleason devotes about 10 percent of the time to revealing facts and anecdotes about the music. “A little feature” called “Mark’s Groovy Lyrics,” during which Gleason “reads the lyrics a bit and plays a song” is included in the first hour. The second hour is more “creative” revolving around a theme. A golf show played songs like “Ironman” by Black Sabbath, ‘Pinball Wizard” and “Woodstock.” Other themes included the Superbowl, baseball, “man” as in handyman, piano man. The final hour goes straight to the music. Gleason uses a letter of the alphabet to determine which songs are spun. He concludes with the number one song for the corresponding week of the highlighter 1970s year..
As much as he appreciated what Fox had done for him at Pala Rez, Gleason said the future was now for this comprehensive trip through the groovy 1970s in story and song. “My ultimate goal is to have an Internet station do the show,’ Gleason said. “Most Internet stations pretty much are just a jukebox. I want mine to sound like it’s formulated in my head.